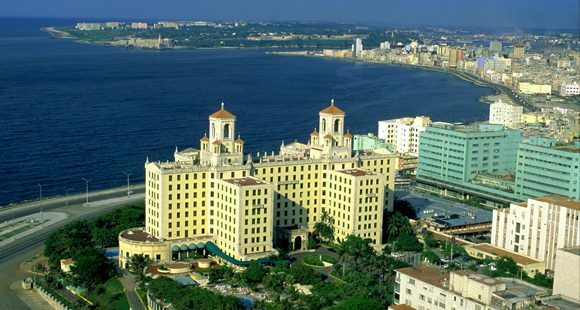 Imagine boarding a Boeing 727 jet at Baltimore-Washington International right after lunch, and landing in Havana just in time for a late-afternoon stroll along the oceanfront Malecón. Guess what: You won’t have to imagine for much longer. Within six months, businessman William J. Hauf is confident his company will be offering weekly charter flights from BWI to communist Cuba — and maybe twice-a-week flights if demand warrants. That doesn’t mean, however, that thousands of Marylanders will be flocking to the sunny beaches of Varadero this winter. Unless they have specific permission from the U.S. Treasury Department, most Americans won’t be allowed on the new flights, a consequence of the 50-year-old embargo that forbids U.S. citizens from traveling to Cuba — even though it’s perfectly OK to visit Iran, Syria, North Korea, China, Zimbabwe, Belarus and other shining beacons of democracy. And at $895 per round-trip ticket, these Havana flights aren’t exactly a bargain; it’s cheaper to fly from BWI to London and back. Nevertheless, Hauf’s new venture would mark the first time in history — even before Fidel Castro’s 1959 revolution — that the capital cities of the United States and Cuba are linked by regular nonstop service. 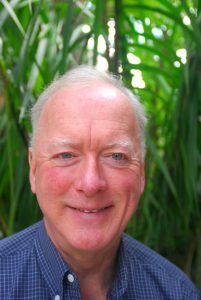 Hauf, interviewed earlier this month over breakfast in Fort Lauderdale, Fla., is president of Island Travel & Tours Ltd., a Tampa-based outfit that specializes in Cuba. The inaugural flight Hauf dreams of was supposed to take off Mar. 21, right around Easter recess, but poor ticket sales forced him to put off that dream for at least another six months. Hauf said the market for the Baltimore area will consist of categories of people who may already visit Cuba — government staffers, think tanks, universities, religious groups, architectural schools, law schools, journalists and entities like the IMF, the World Bank and the World Health Organization. Hauf, 67, didn’t start out in the travel business — nor did he originally have any particular interest in Cuba. A native New Yorker, he made his money in the California real-estate boom, investing mainly in apartments. In 1988, he put together a 2,600-acre project in San Diego County consisting of 1,600 single-family homes. His Cuba obsession began in a conversation had 15 years ago with a woman whose ex-boyfriend had visited Cuba. Before long, Hauf was helping distribute a magazine called “Business Tips on Cuba” being published by Isidoro Malmierca, Cuba’s former foreign minister (and the father of current foreign trade and investment minister Rodrigo Malmierca Díaz). After the elder Malmierca’s death, the magazine ceased publication. Hauf, who’s been to Cuba more than 100 times in the last 16 years, is constantly looking for ways around the U.S. embargo that’s crimped bilateral trade ever since President Kennedy declared it back in February 1962. In early 1999 — encouraged by the Clinton administration’s moves to open “people-to-people” travel to the forbidden island — Hauf wrote to the Treasury Department’s Office of Foreign Assets Control (OFAC). He requested a Travel Service Provider license, a Carrier Service Provider license and a Remittance Forwarding license. That same year, he traveled to Cuba to watch the Baltimore Orioles make history as the first Major League Baseball team to set foot in Cuba in 40 years. The last time had been Mar. 21, 1959, when the Cincinnati Reds played the Los Angeles Dodgers. Fittingly, BWI was also the first U.S. airport from which Hauf requested government permission to fly to Cuba. For years, only three gateways — Miami, New York JFK and Los Angeles — were allowed to offer such charter flights. Baltimore to Havana coming soon. But Hauf was told that he couldn’t be granted CSP status from Baltimore because BWI was not on the approved list of airports. Hauf enlisted the support of Rep. Kathy Castor (D-FL) as well as Louis Miller, then-executive director of Tampa International Airport and several other organizations. On Jan. 21, 2011, the Obama administration announced the list of a dozen new airports that would be allowed to offer Cuba charter service. Both BWI and Tampa were on it, along with Atlanta, Chicago, Fort Lauderdale, New Orleans, Dallas-Fort Worth, Pittsburgh and San Juan, Puerto Rico, to name a few. Hauf’s company, Island Travel & Tours, didn’t waste any time. 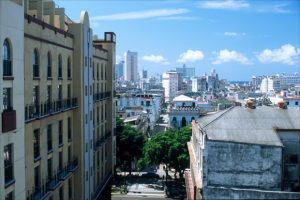 In November, it began flying once a week between Tampa and Havana, charging $445 round-trip including taxes and fees. And his planes are leaving full. “We have a waiting list of people but have not been able to accommodate them because we don’t have extra seats,” Hauf said. That’s because they’re drawing on the local Cuban-American population to fill seats. In BWI’s case, there is no local Cuban exile population to speak of, so the challenge here is to target universities, nonprofit organizations and others who could sign up groups for legally sanctioned “people-to-people” travel to the island. BWI spokesman Jonathan Dean agreed. Dean said BWI handled 22.4 million passengers in 2011, up 2.1% from 21.9 million passengers in 2010. It was also one of only two major U.S. airports to show growth in 2009, the other being San Francisco. Currently, BWI offers flights to seven foreign destinations: London, Toronto, Aruba, Cancún, Freeport, Nassau and Montego Bay. In addition, nonstop service to Frankfurt via Condor Airlines is set to begin in July. Hauf remains hopeful he’ll be able to add Havana to that list later this year. But that’s not enough. Hauf wants an end to the U.S. travel ban altogether.